Queen's Park was first opened in June 1899 to celebrate Queen Victoria's Diamond Jubilee. 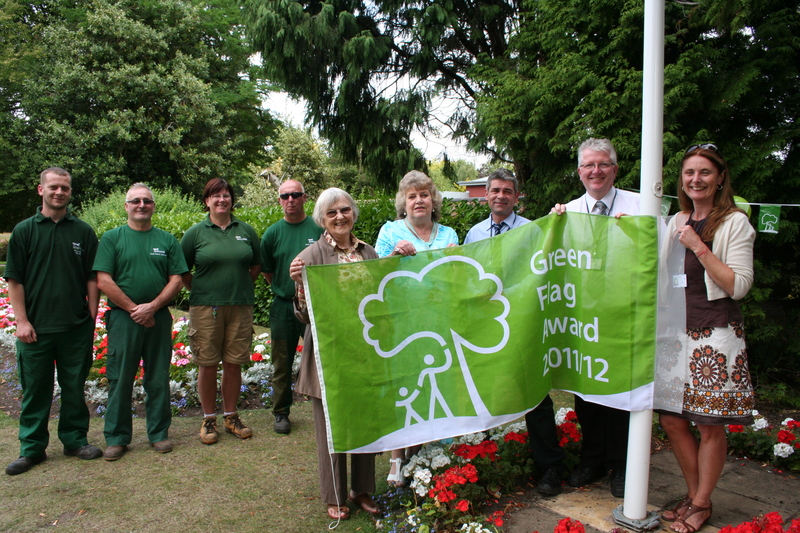 Since 2008 the park has had Green Flag status, a mark of excellence awarded to parks and green spaces. The park opens at 7.40am on weekdays and 8.10am on weekends. The park closes at different times during the year. The last gate to be locked is Granby Street. Please vacate the park by this time. Throughout the summer months of May-August, Queen's Park hosts a variety of exciting concerts for residents and visitors to attend. Details of this year's concerts will appear here as they announced. All performances start at 2pm. 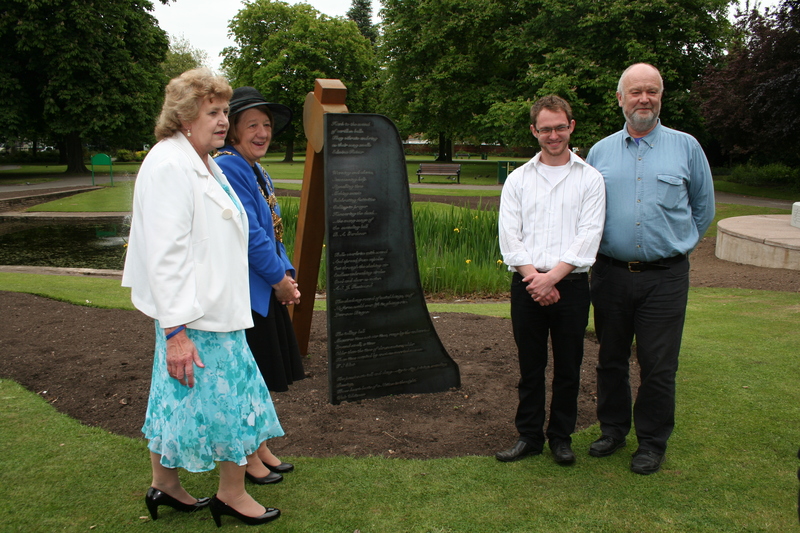 Since 2012, Queen's Park has hosted a number of unique sculptures designed by students from Loughborough University. 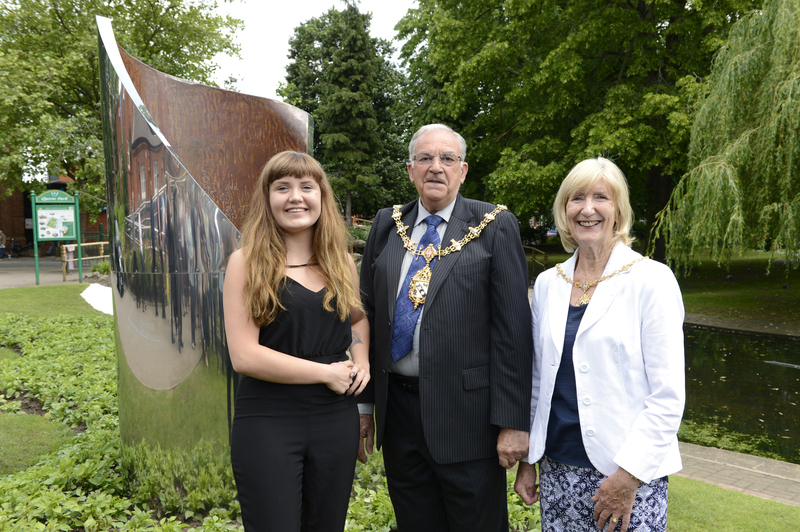 Each year the sculptures are commissioned by us as part of the annual Loughborough in Bloom competition. Students from the University's School of the Arts has so far designed sculptures to celebrate the London 2012 Olympic Games, the casting of the Great Paul Bell Casing by the Taylor Bell Foundry and the Centenary of the start of the First World War. 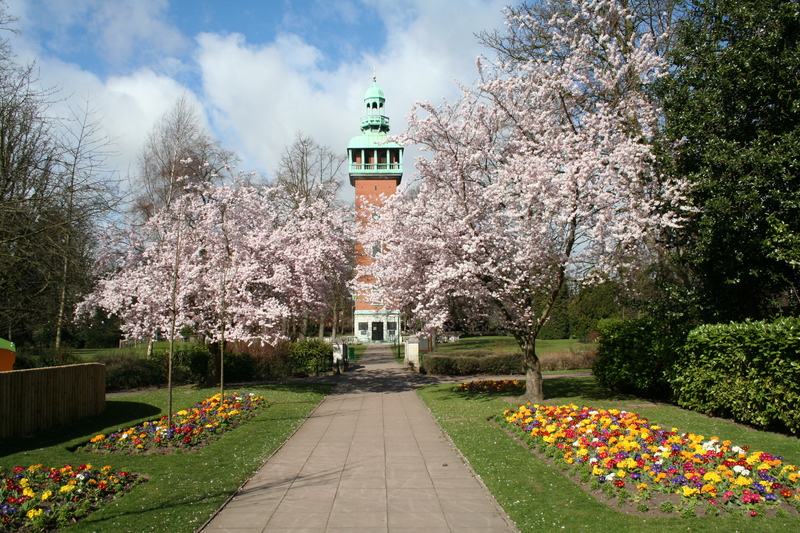 The Friends of Queen's Park is a volunteer group of local people devoted to the care and protection of Queen’s Park. Their aim is to restore this lovely example of a Victorian Park. 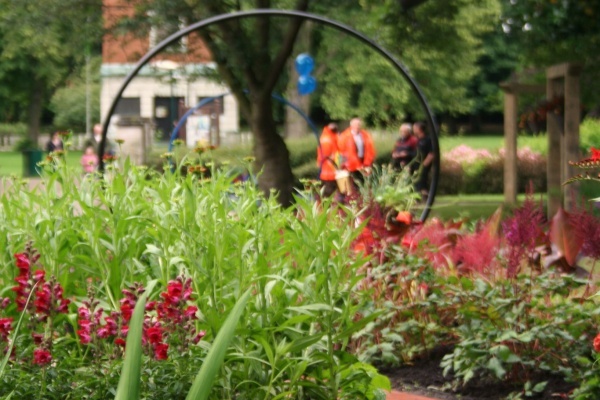 They want to ensure that it remains true to its original concept; to provide a peaceful, beautiful and enjoyable green place for people of all ages to enjoy now and in the future. In July 2011, the Friends funded a new cantilever swing for the teen area through an Awards for All grant. New members are always welcome, meetings are bi-monthly. 1899 - Queen's Park was officially opened by Mr W.B. Paget, as four acres of land. 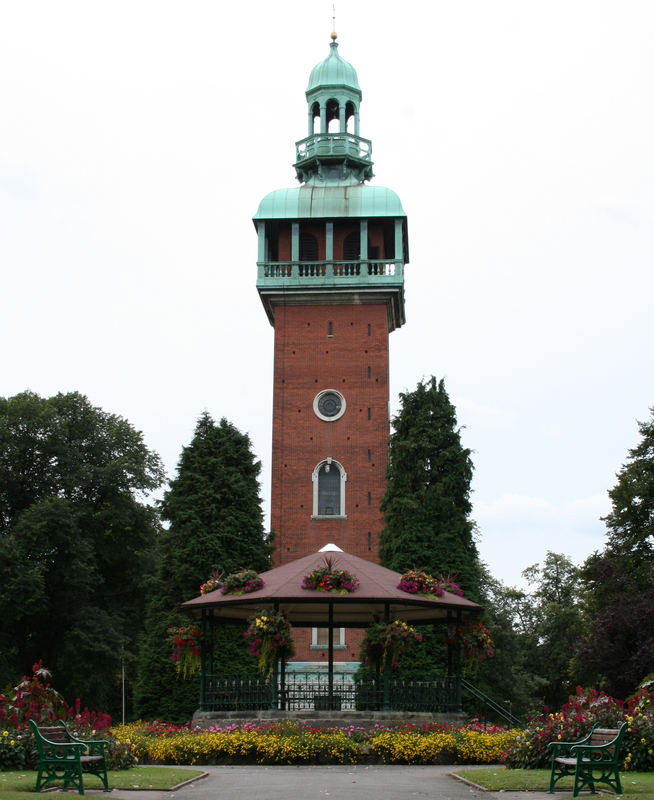 1902 - The Bandstand was officially opened, near to the Granby Street entrance, but by 1914 it had been moved to its current position beneath the Carillon. 1905 to 1907 - an additional six acres of land were acquired from the adjoining dye works and development of the space continued. 1916 - The final piece land was purchased to complete the park as the size and shape we know it today. 1922 - The foundation stones were laid for the Carillon tower which opened a year later. 1928 - The stone balustrade around the Carillon tower was in place as well as the ornate New Street gate. Since this time the park has remained largely unchanged in its layout.